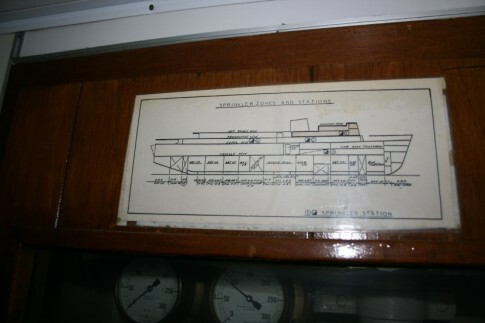 The six purpose-built ships of the Atlantic Steam Navigation Company were completed at British shipyards between 1957 and 1968 for ASN’s North Sea and Irish Sea operations and all had successful careers of varying lengths. 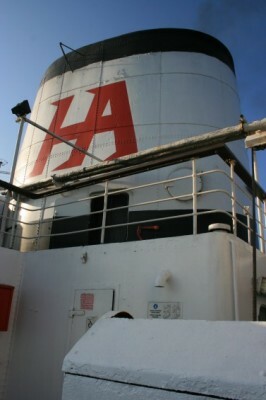 Primarily freight ships they might today fall under that catchall phrase ‘ro-pax’ – they seem fairly traditional in external design to the modern eye, however the initial vessels, the 1957-built Bardic Ferry and the Ionic Ferry of the following year, were proclaimed as fairly revolutionary, being Britain’s first ro-ro freight ships, with the ability to also carry some passengers (55 as built). ASN brochure, using their 'Transport Ferry Service' name. 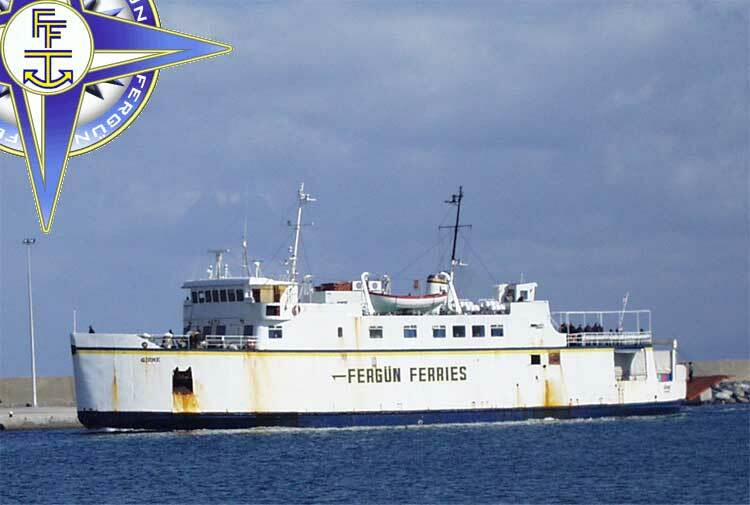 The evolution of the series as further half-sisters were delivered was of a fairly cautious nature, the second pair (Cerdic Ferry (1961) and Doric Ferry (1962)) being slightly longer but with capacity for only 35 passengers. 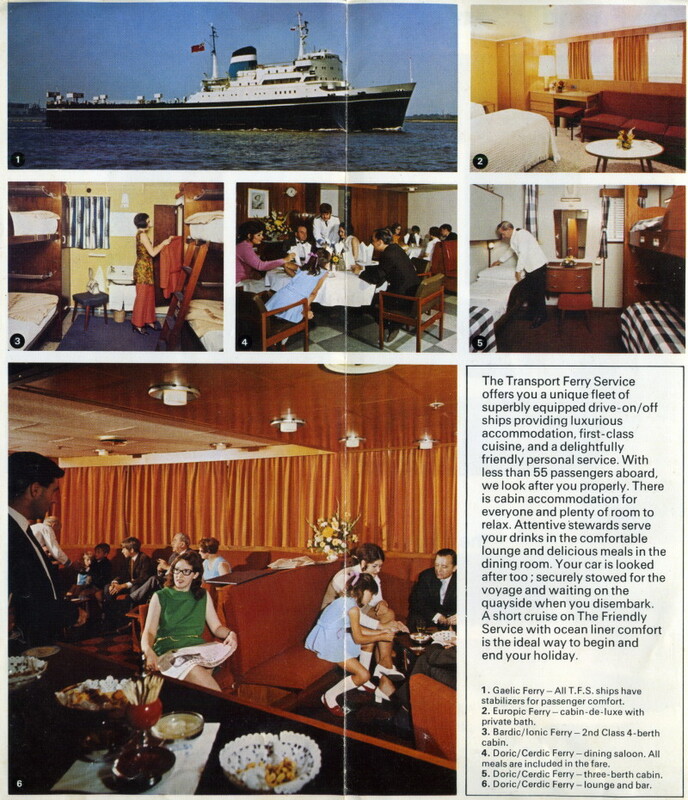 The final two vessels were one-offs, the Gaelic Ferry of 1964 being not dissimilar to the previous pair before the slightly racier Europic Ferry (1967) was rather longer and faster and took passenger capacity up to 160. The ships all remained in service through the takeover of ASN by Townsend Thoresen in 1971, and remained useful for most of the 1970s. 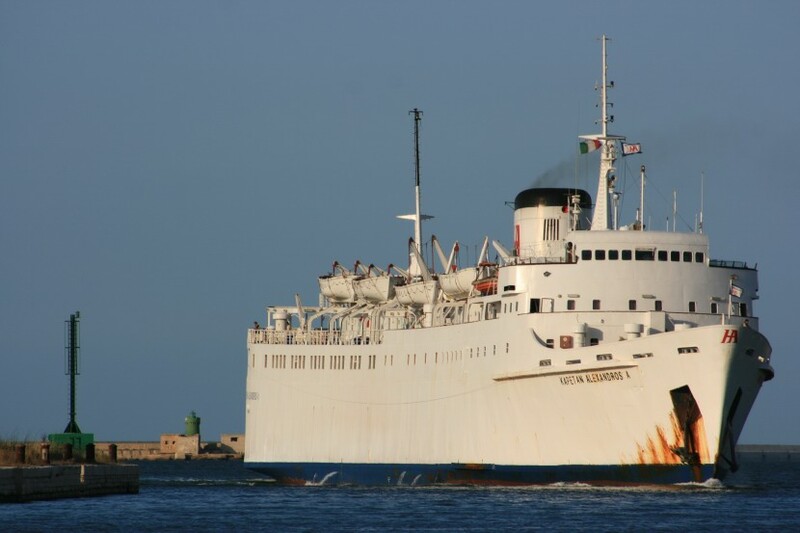 However, towards the end of that decade the earlier ships were becoming a little obsolete as larger and more modern tonnage was introduced and by 1982 the first four had been sold. 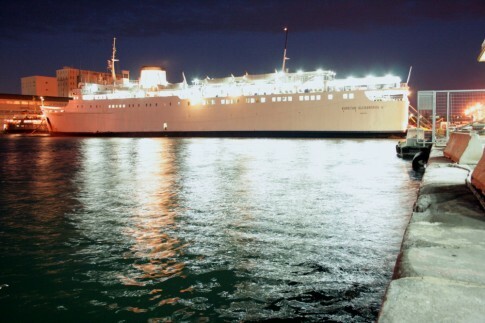 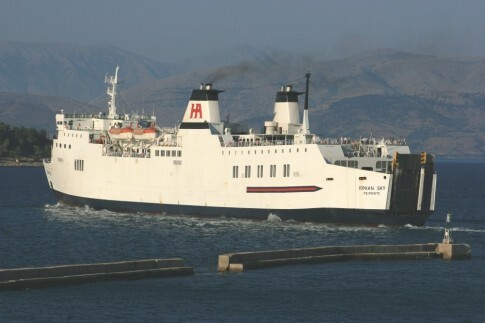 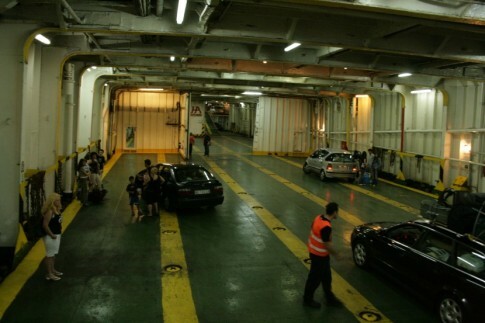 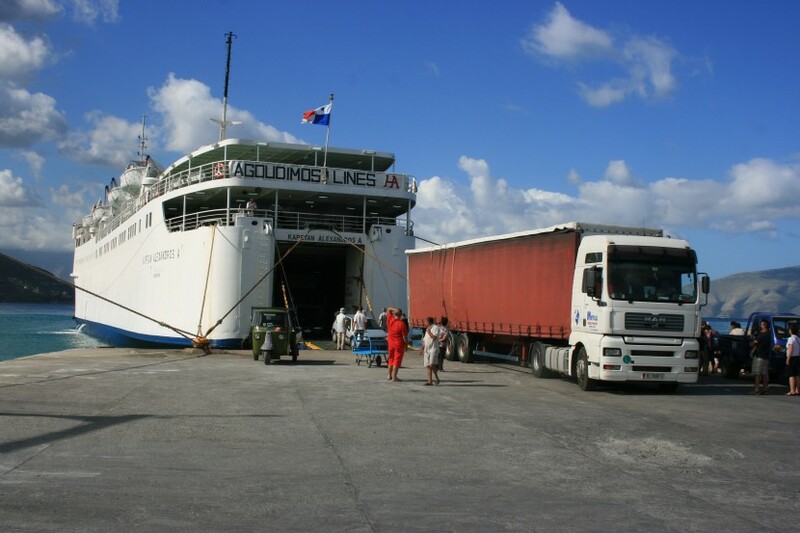 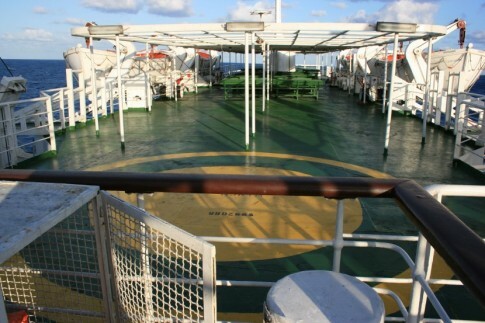 The Gaelic Ferry excluded, each went on to have a second life with Southern European operators including the Europic Ferry which had lasted with TT’s successor P&O European Ferries until as late as 1993 before becoming Med Link Lines’ Aphrodite II. 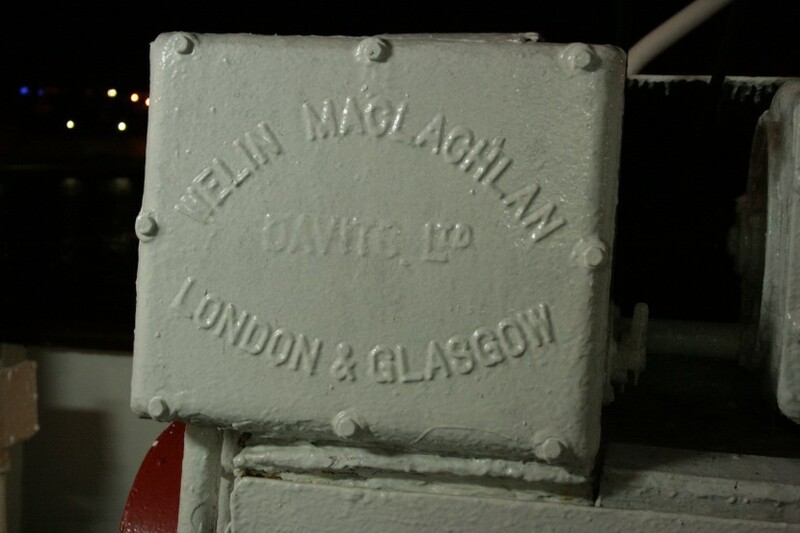 Longest-lived however were the middle pair, the Ailsa, Troon-built Cerdic Ferry and Doric Ferry. Sold together to Libra Maritime in 1981 as the Atlas I and Atlas II, they served a variety of Adriatic and Aegean routes until onward sale in 1987/88, the ships ultimately being split up with the ex-‘Cerdic’ passing to Ventouris Sea Lines and the ‘Doric’ to Agoudimos as the Kapetan Alexandros (later the Kapetan Alexandros A). 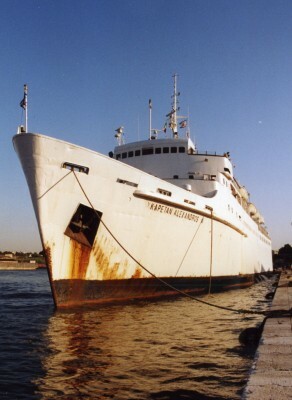 The ‘Cerdic’ neatly side-stepped the implosion of much of the Ventouris family’s shipping operations in 1995 by being sold within the family to A K Ventouris but was further sold in 1998, becoming the Orestes for Albanian service. Sadly, she was arrested and abandoned in Bari in 2000 and spent the subsequent seven years as a rusting hulk on the breakwater at the Italian port being finally being scrapped in 2007. 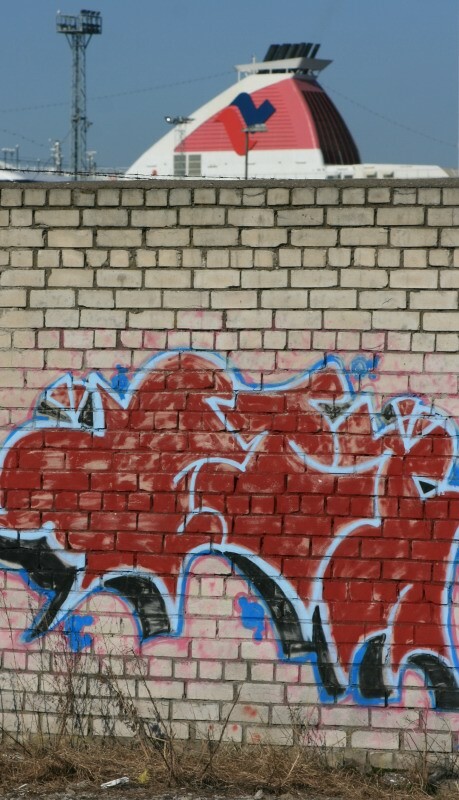 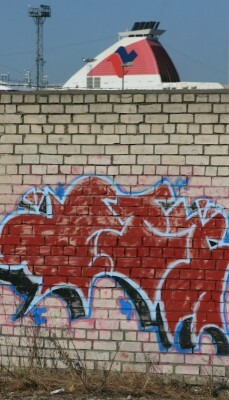 The story of the Kapetan Alexandros has been altogether more positive. 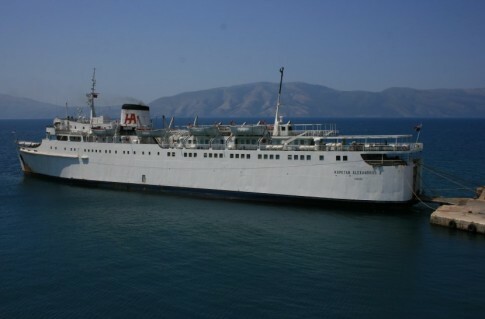 With Agoudimos she was enlarged into a true passenger ferry, serving both domestic and international, Adriatic services. 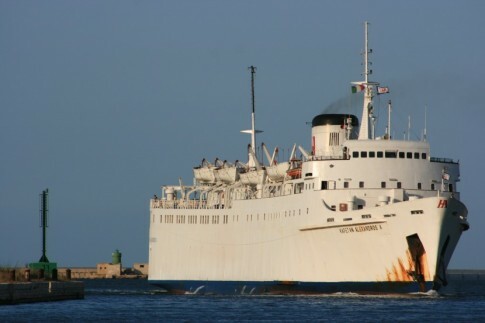 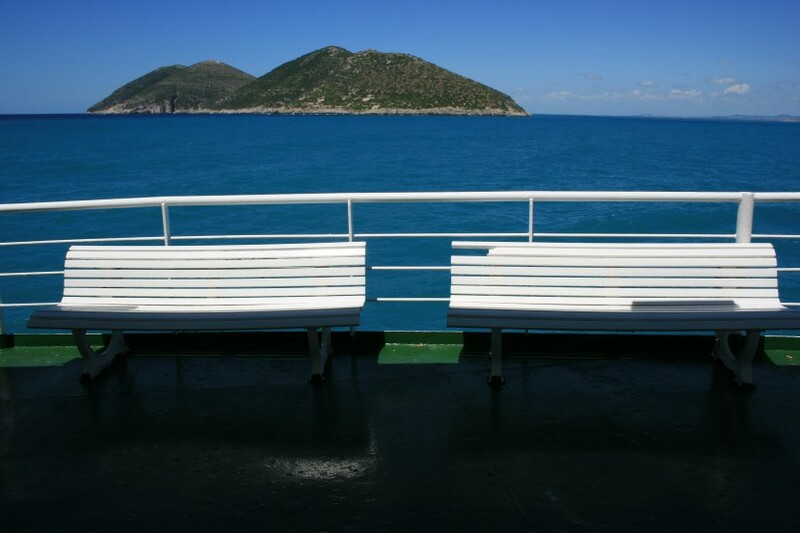 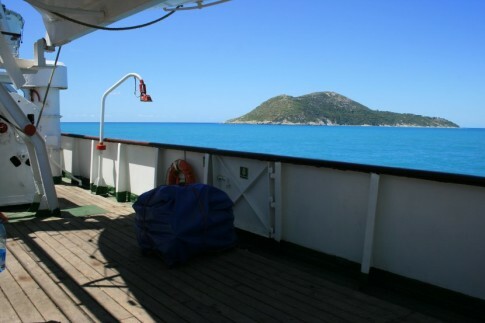 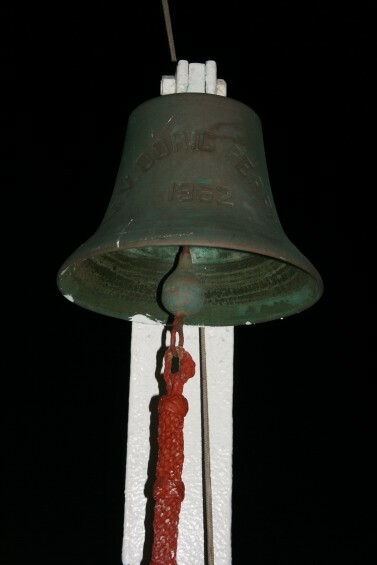 Named after Agoudimos Lines’ founder, Alexandros Agoudimos, the ship has since the turn of the century operated each year between Brindisi in Italy and Vlore in Albania, a sole constant as various competing vessels and operators on the same route have come and gone with unerring rapidity. 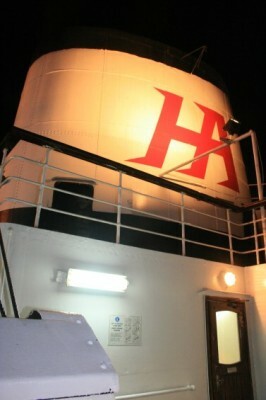 Her survival is in part a tribute to the strength of the hull and reliability of the machinery. 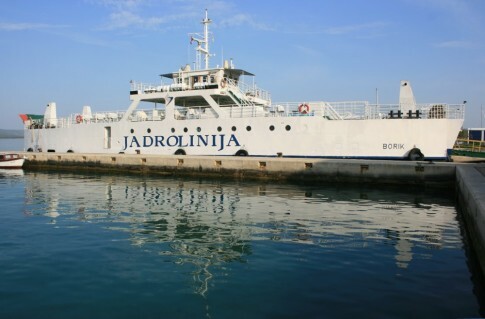 Now one of the oldest open-sea car ferries in Europe (in fact probably the oldest, certainly transiting an international route?) 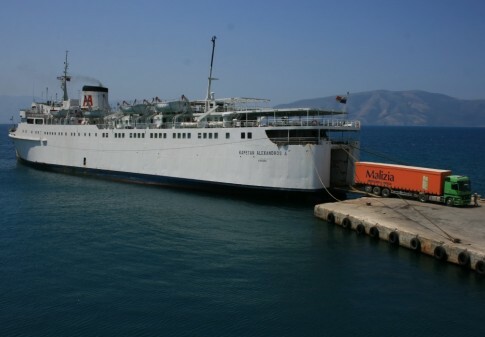 she has once again in 2009 been scheduled for a complete season of sailings on the Vlore run, indeed she has even spent much of the Winter in operation, covering for the errant Ionian Spirit (ex-Roslagen/Viking 3) which was scheduled to maintain the off-season services before mechanical troubles took hold. 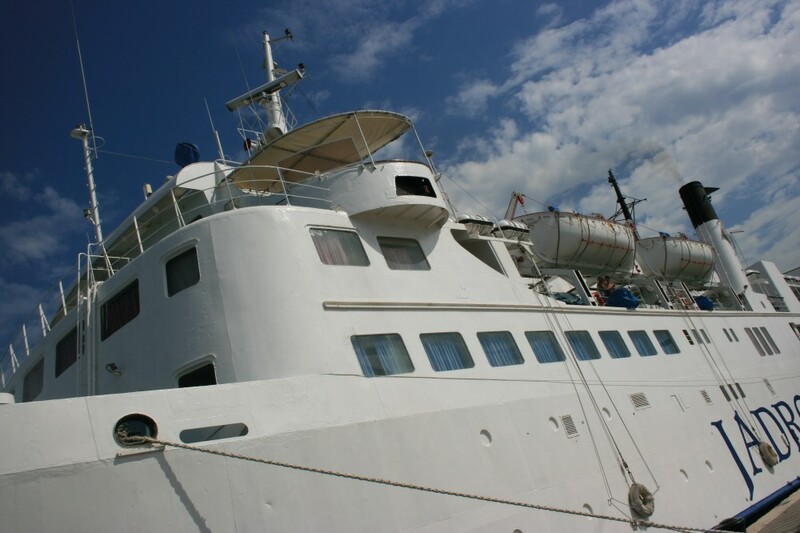 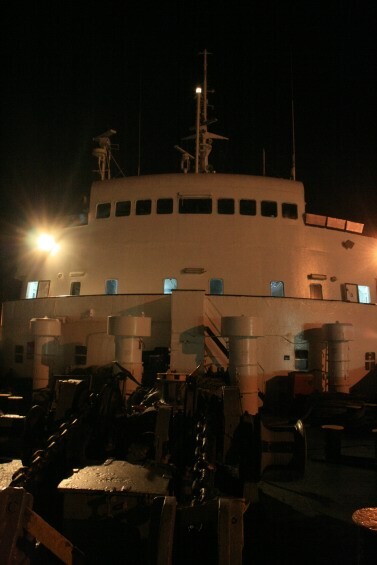 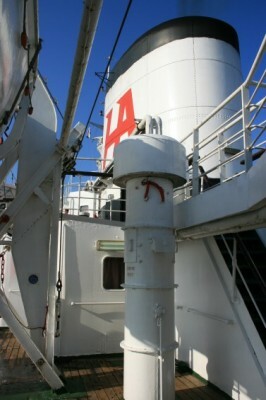 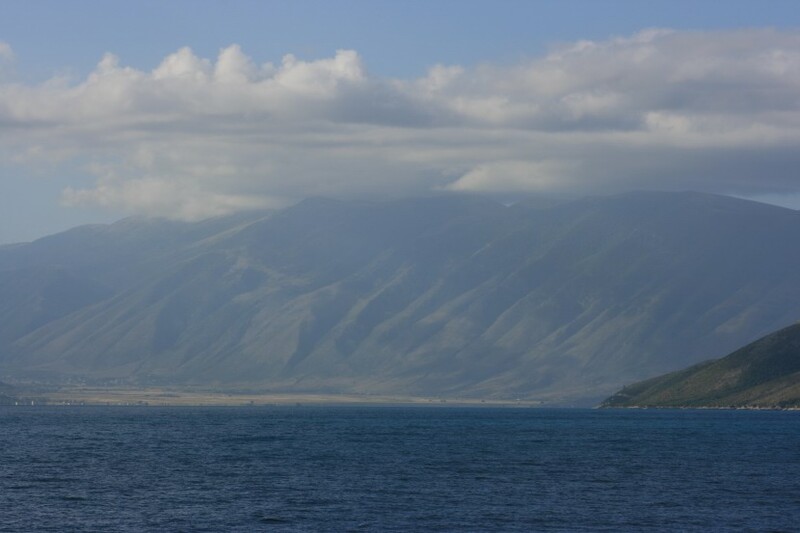 The following pictures of and on board the Kapetan Alexandros A were taken during a variety of sailings on the ship between 2004 and 2008. 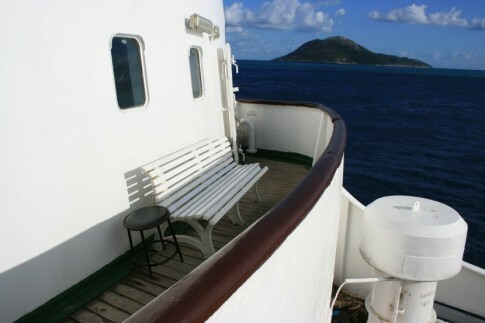 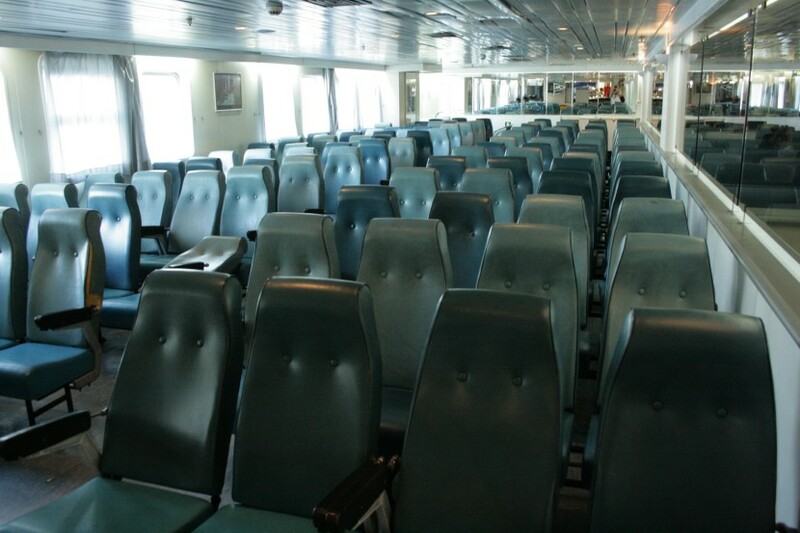 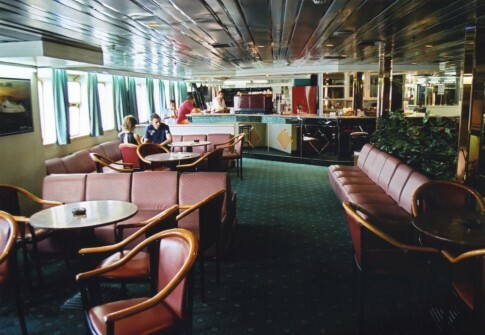 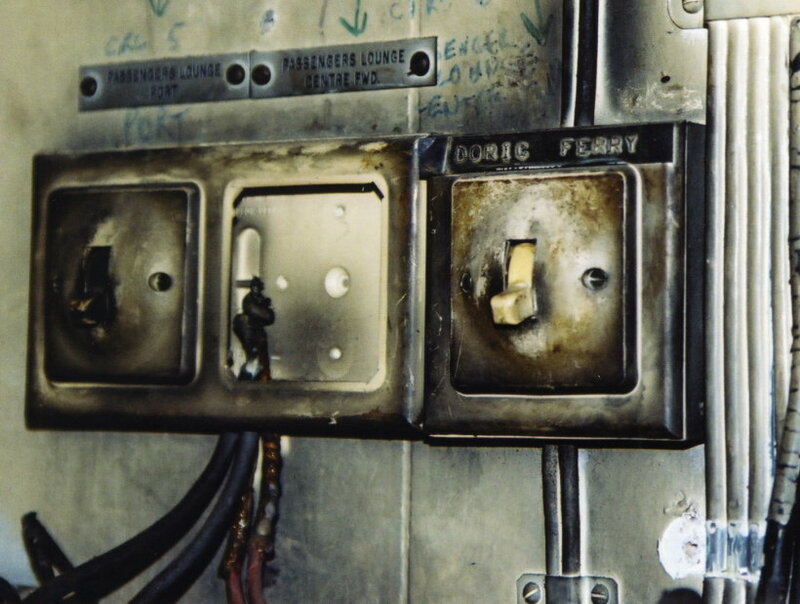 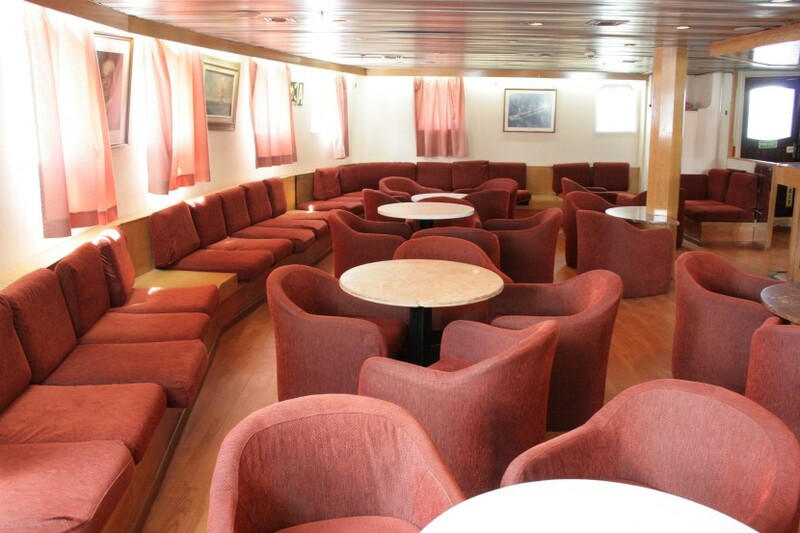 Significant parts of the ship’s interior can be described as having the ‘Greek 1980s’ look, however in the original spaces, essentially the original cabins and the forward lounge, the spirit of the original Doric Ferry survives. 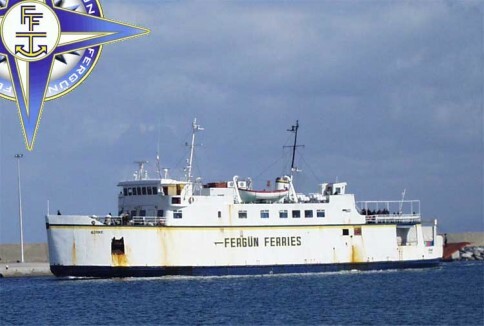 How much longer this can be the case is uncertain – a crew member on Corsica Ferries’ Mega Smeralda last year explained how he had left Agoudimos just to be away from the ship which he was less than flattering about, indeed it would probably be libellous to repeat some of the things said! 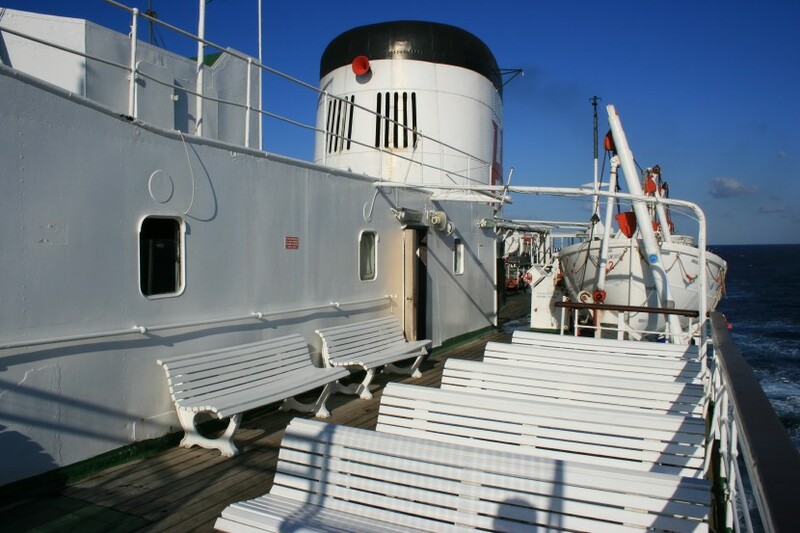 – however each year she confounds expectations and returns to service, the last of a fine series of handsome British-built ferries. Morning off the Albanian coast. 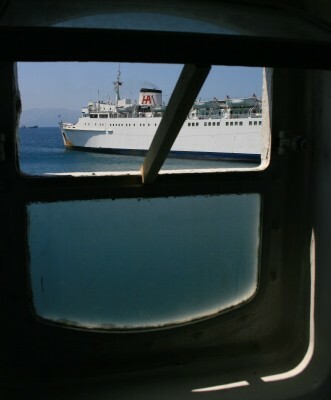 Arriving in Vlore - the Red Star I (ex-Thoresen's Viking III) has sailed the same route but is rather faster so is on the berth first. Berthing on the exposed berths can be a bit tricky when you don't have bow thrusters.... the Kapetan Alexandros often needs the help of a tug, but gets there in the end. 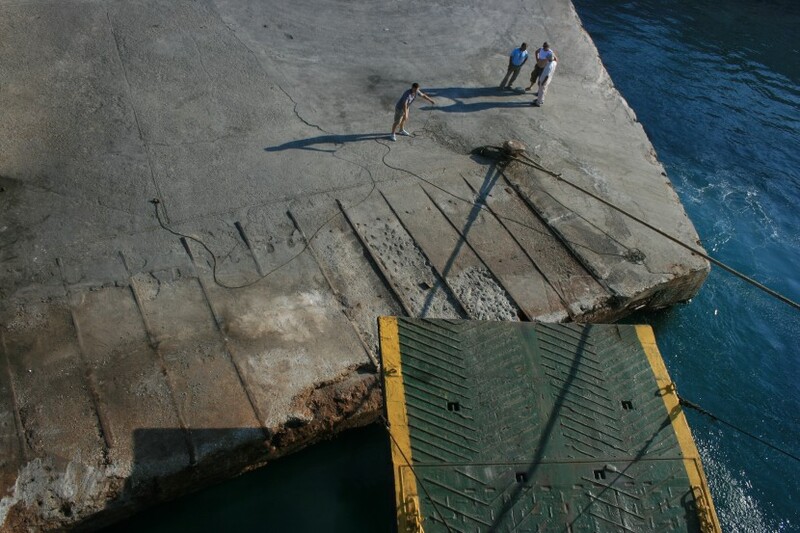 This image shows a first attempt - the ramp scraped along the pier before ending up at the correct right angle to it. 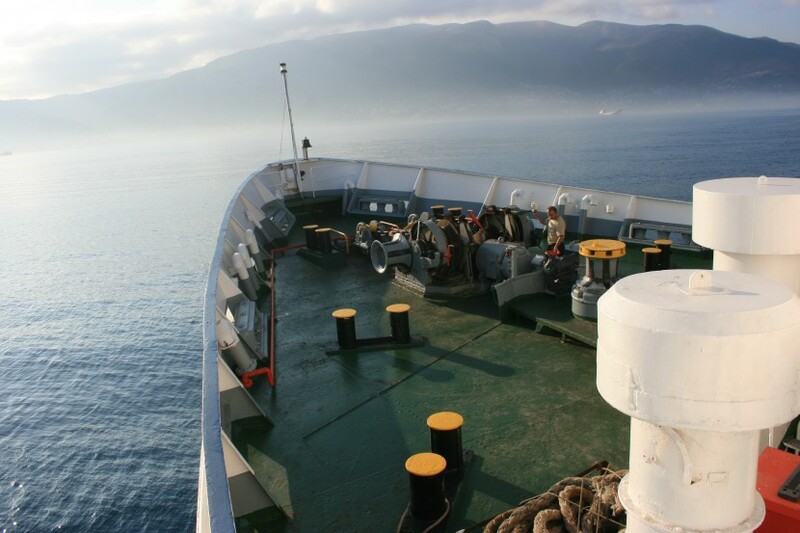 On the berth in Vlore. 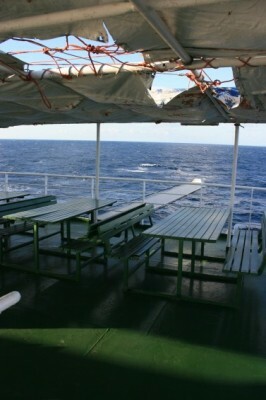 Back on board for a return sailing to Brindisi. 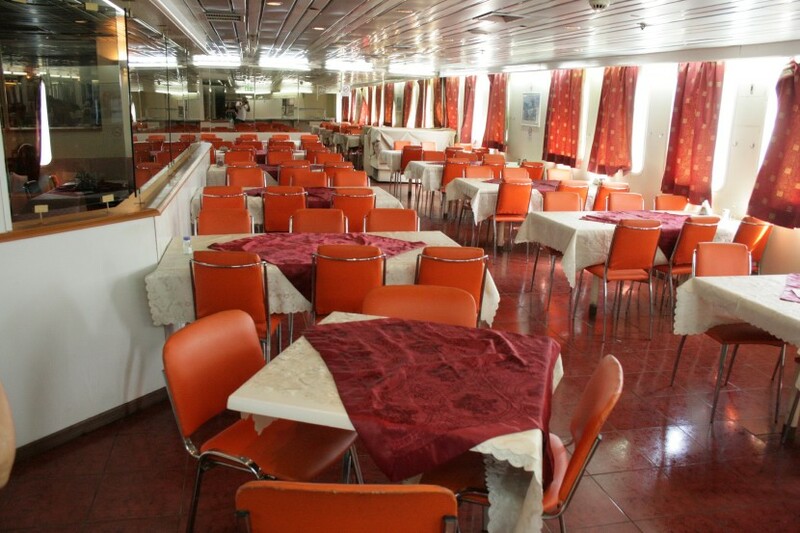 Starting with the accommodation added by Agoudimos, this is the ship's self-service restaurant, on the port side amidships. This centre section separates the self-service from the bar, to starboard. 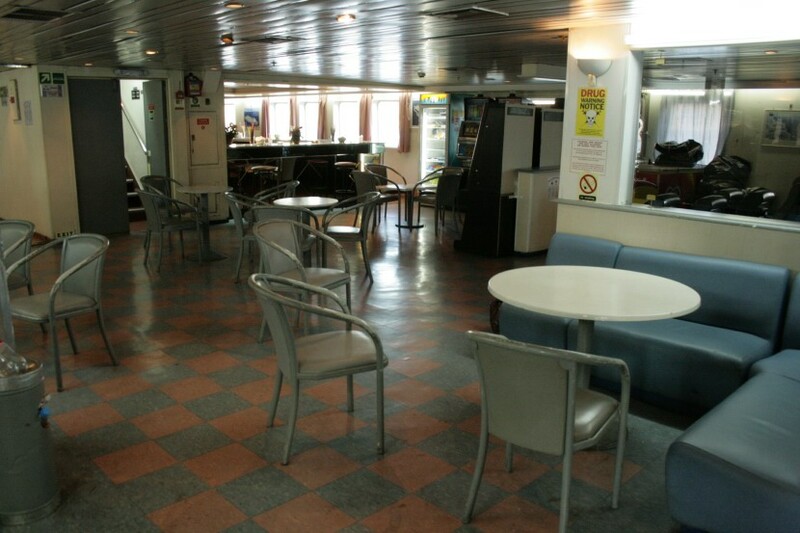 The small Duty Free shop. 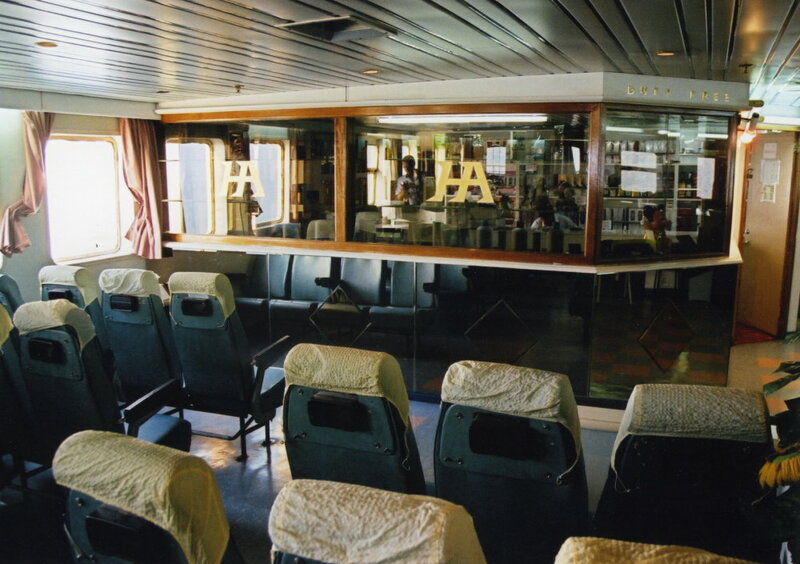 Reclining seat lounge, aft on the starboard side. 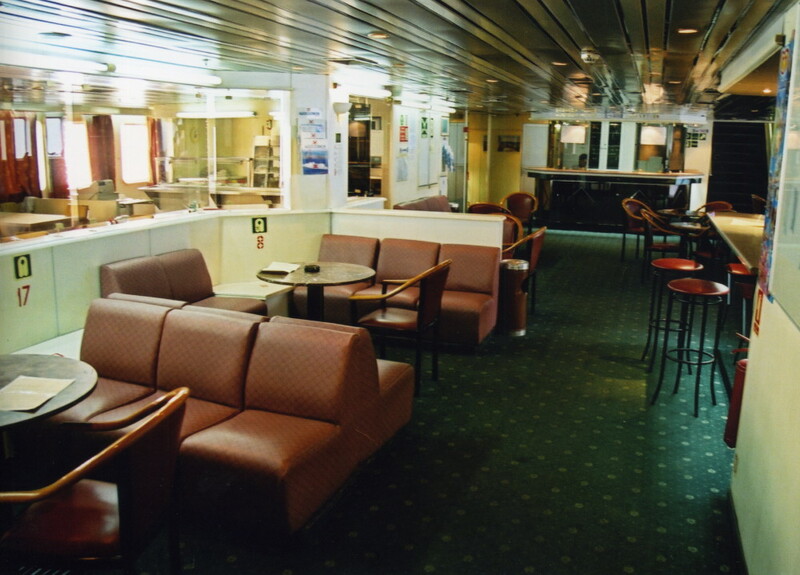 Right forward, this lounge was the main passenger space as built, together with a restaurant. 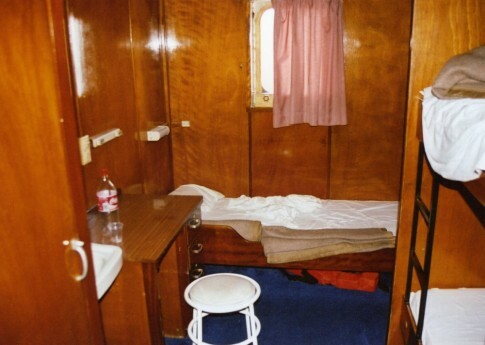 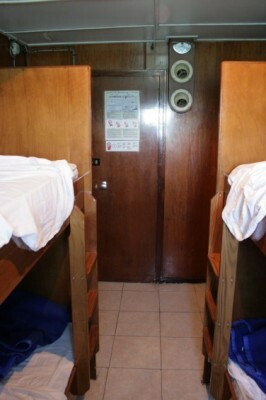 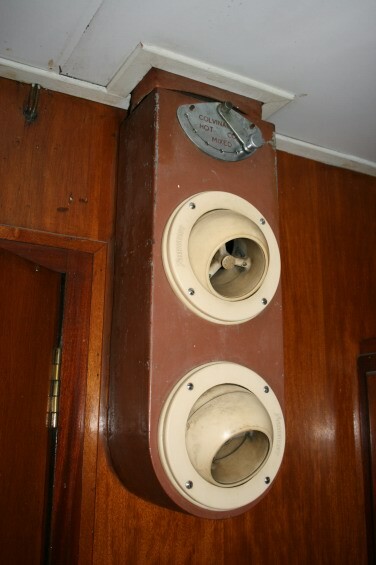 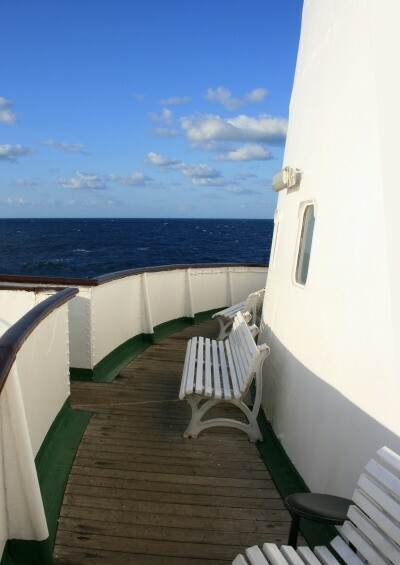 The cabins in the forward part of the superstructure are original, without facilities but entirely wooden panelled. 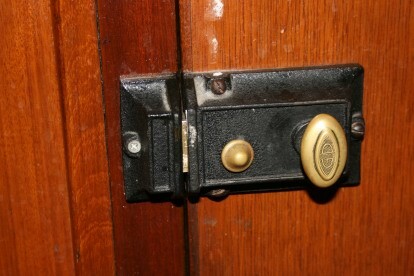 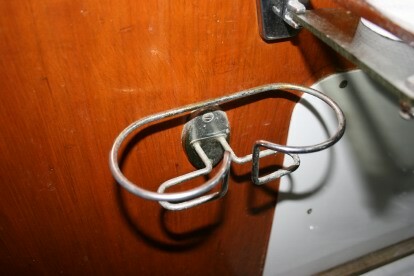 They retain plenty of period touches, such as punkah louvres for ventilation and little cup holders etc. 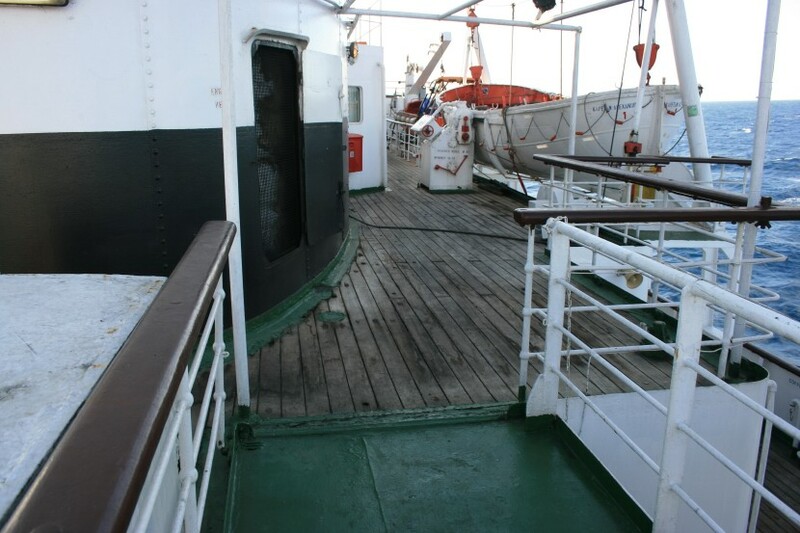 The join where the Greeks extended the superstructure aft is clear - it's where the wooden decking stops and plain painted steel takes over. 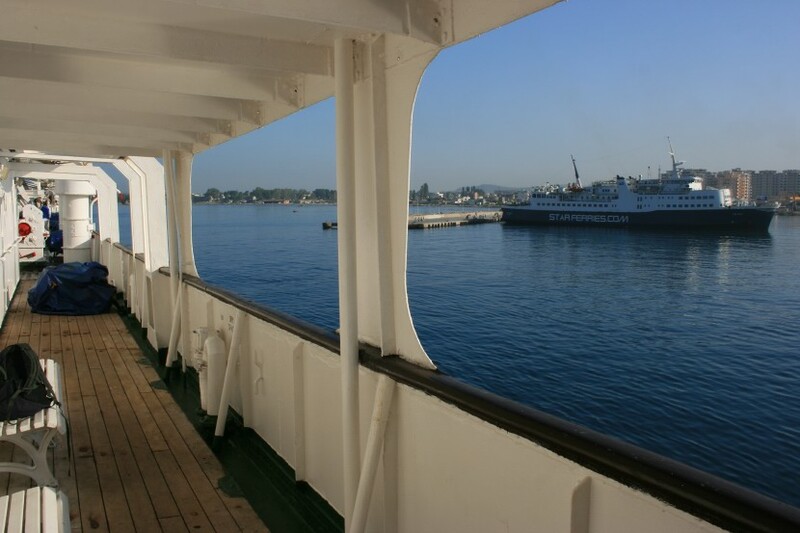 Back on the berth in Brindisi's old port.